This post is Part 3 of a series to augment the Guest Resources available for free download. Start with Part 1 here. After I reviewed Melinda's first book in Part 1 of this series, I found myself wanting to read her second book too. I'd already fallen in love with her cool maps, particularly the marked differences between her Book One map and her map for Book Two. 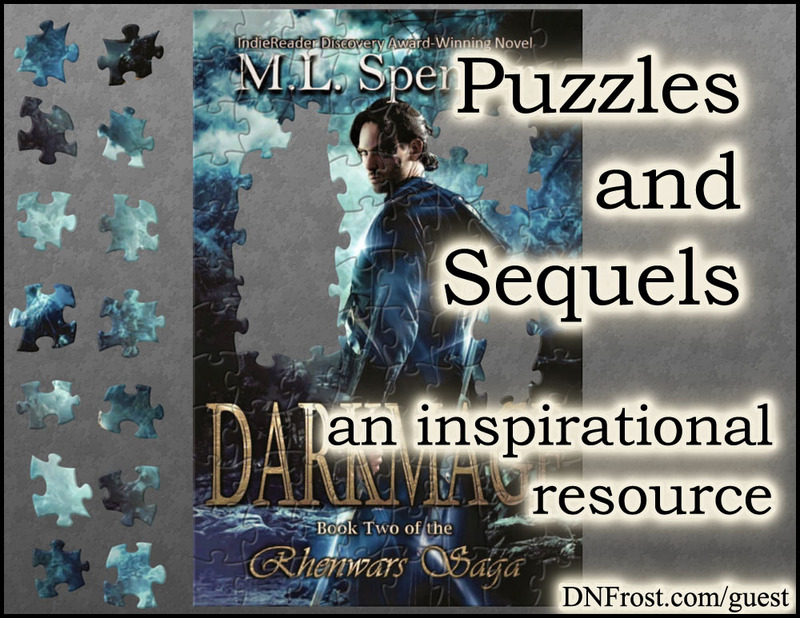 I found her second book, Darkmage, on her website, where I read a preview of the book and enjoyed a cool puzzle app where I could assemble the book's cover. I loved the idea of turning my own book's maps and art into fun puzzles, so I did a little homework and tried making a few puzzles myself. Turns out it's really fun and addictive. Now my Maps of the Known World mini-series contains a fun puzzle of each map to assemble! I'm grateful to Melinda for inspiring this idea, and I hope my own fans will enjoy puzzling along with their favorite maps. After I played around with puzzles for longer than intended, I returned to Melinda's web page for Darkmage and followed the link to her Amazon sales page. There I saw that her second book is available in paperback and for Kindle. However, I don't have a Kindle, and though Amazon offers a Kindle Cloud Reader that lets you read Kindle ebooks on any device, I find that the app makes my favorite ebook device run pretty slowly. I contacted Melinda about other formats for her second book, and Melinda graciously offered either an EPUB or PDF format for her book. Of the two, I prefer PDF ebooks, mostly because EPUB files require a reading app much like the Kindle MOBI files do. Since I was straightforward about my intention to write another in-depth review on my website, Melinda was kind enough to send me the PDF free of charge. I'm excited to be reading another book by M.L. Spencer, and my full review of the novel will be available soon. at Darkmage by M.L. Spencer here. And be sure to subscribe to Melinda's reader group, if you haven't already!